The mound is ~0,5 km to the south-east from the village, ~1,5 km to the east from the road Molėtai-Pabradė, ~0,5 km to the south from the lake Pravalas. The slopes of the mound are steep, up to 5 m in height. Its top site is almost circular. 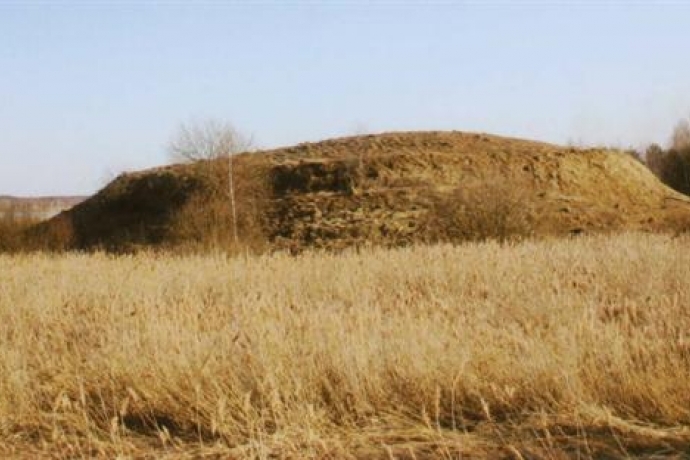 The site and the slopes contain a cultural layer, where, during the works of ploughing, a stone frictional quern, fragments of plastic brushed and rusticated pottery, cinder, and bones of animals were found.